64% of consumers ages 18 to 24 do not know the interest rates they pay on their credit cards. Only four states require students to complete a course that includes personal finance before graduating from high school (Utah, Missouri, Tennessee, and Virginia). Only Twenty other states require that personal finance instruction be incorporated into other subjects, such as math or home economics. It is estimated that currently only 5% percent of Americans can afford to retire at age 65. Studies have found that couples argue over money more than anything else. United States current divorce rate is 49%. Conclusion: Based on the stats given, its fair to say the educational system could use some tweaking in the finance department. A low debt vs income (ratio). 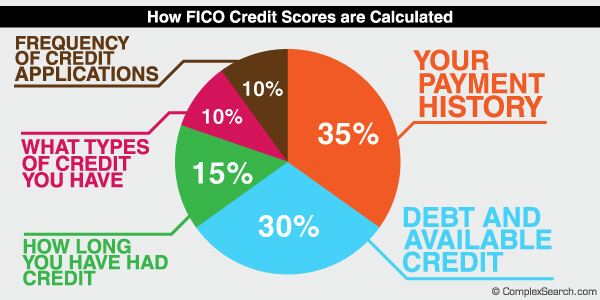 For more information about Credit Score click here. Debt Consolidation click here and here. To learn more about Re-Quotes click here and for information about Refinancing click here. To see a pie chat indicating what your household expenses should be click here. Write out your monthly budget that is based on income and expenses. Create an emergency expense fund for health, home, and auto repairs. Research, Research, Research! Ex. I went from paying $1500.00 every 6-months for my 2010 & 1997 fully insured vehicles to getting a re-quote and switching companies, now I’m currently paying $943.00 once a year for both 2010 & 1997 vehicles, fully insured (a $2057 savings on auto insurance). What I learned personally is that consolidation of multiple loans (ex. student loans) may lower your monthly payment, which also decreases your debt vs. income ratio and creates a better chance for being approved for credit cards, and refinancing auto loans. If you have multiple loans/debt and seeking ways to lower all of your expenses, the order you do this is IMPORTANT! If you apply for a credit card or attempt to refinance your auto-loan without checking into consolidation options FIRST, you may get declined or fail to get the credit card or auto loan at the lowest interest-rate possible because your debt vs income ratio remained high. Subscribe or be sure to tune in for next week’s topic and discussion… Lesson 3: Self-Defense (home invasion/robbery)! I do agree with all the concepts you have presented for your post. They’re really convincing and can certainly work. Nonetheless, the posts are too short for beginners. May you please lengthen them a little from subsequent time? Thanks for the post.